The museum’s founder was Pavel Tretyakov (1832-1898), who at the age of twenty-four, decided he wanted to start a public art museum. It was 1856 and Pavel was just a modest merchant at the time, living in Moscow. His first acquisitions were bought at a book market, but over the years his flair for collecting became very keen. Pavel did not miss a single exhibit, often buying paintings from the artists’ studios way before they were exhibited. Soon the artists got word of this man with money and his mission to start a museum. One of his indispensable advisors was one of Russia’s most famous artists Ilya Repin (1844-1930). During a student exhibition Tretyakov bought his first painting by Isaac Levitan (1860-1900), against the advice of Repin. Tretyakov also recognized the talent of twenty-three year old Valentine Serov (1865-1911), today considered one of the greatest masters of Russian Impressionism. The first painting of his that Tretyakov bought was “Girl Bathed in Sunlight,” (1888) even though Repin and other artists were highly critical of it. In 1873 Pavel Tretyakov commissioned a portrait of Leo Tolstoy (1828-1910) for his gallery. Tolstoy had refused several times. Tretyakov wrote to Kramskoy ‘Please use all your charm to persuade him’. Tolstoy finally agreed and they both ended up liking each other very much. 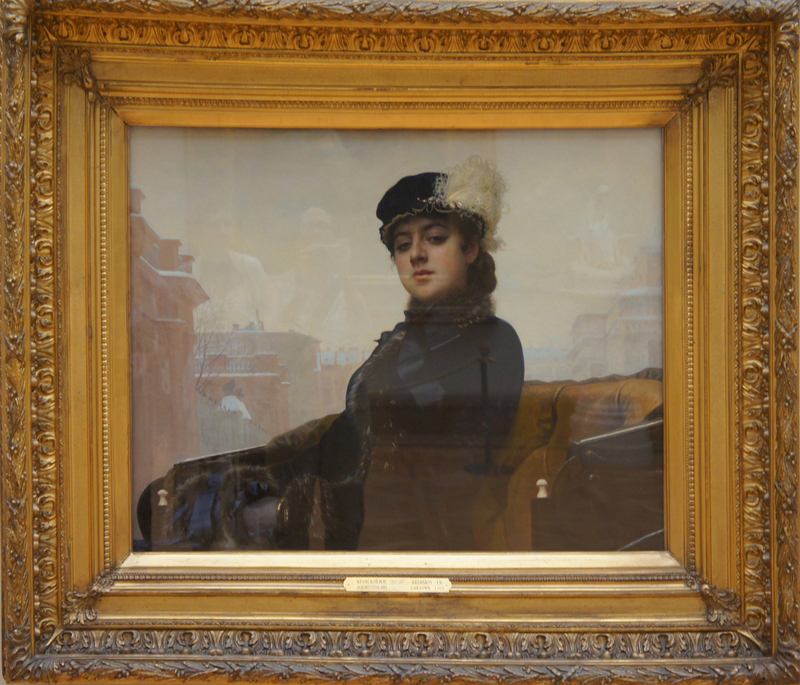 While Kramskoy was living at Tolstoy’s house painting his portrait, Tolstoy was working on the book Anna Karenina and he even used Kramskoy’s character in the novel. Ilya Repin (1844-1930) was a self-made man. 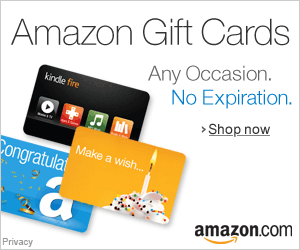 During the time of his birth in 1844 there was a caste system in Russia where its citizens were rated by class. Repin’s father was a military settler which was in a category one level above a state-owned peasant. Thus upon his birth, Ilya was legally bound to live and work according to the demands of the state. In 1863, with fifty rubles in his pocket, Repin arrived in St. Petersburg to begin his artistic training. He passed the Imperial Academy’s examination one year later and in May of 1865 Repin won the Small Silver Medal award. Though it was the Academy’s lowest award it gave him full citizenship and liberated him from the military obligations he had inherited from birth. Repin was bestowed with the title of “free artist” giving him complete liberty to purse any calling. Throughout his long artistic career, Repin was drawn to the common people with whom he shared his origins. Often aligning himself with Kramskoy’s group The Wanderers by painting scenes that displayed Russia’s social classes and the tensions that divided them. 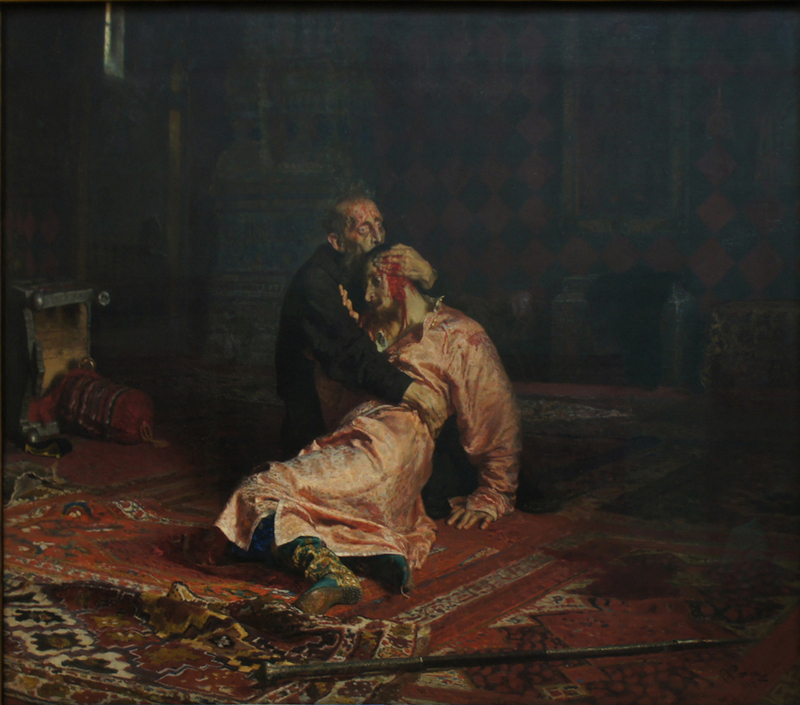 In 1883, Repin completed one of his most psychologically intense paintings based on the story of Tsar Ivan the Terrible killing his son. This canvas displays a horrified Ivan embracing his dying son, whom he had just struck and mortally wounded in an uncontrolled fit of rage. This event occurred in 1581, yet Repin dedicated this painting to Tsar Alexander II(1818-81), who was assassinated in 1881 by a group belonging to the reform movement. Repin’s comments about this work were, “Be careful what you do with your rage, you could end up doing more harm than good.” The assassination caused a great setback for reform in Russia. Alexander II had completed plans for an elected parliament the day before he died, but had not yet released the plan to the Russian people. Had he lived another forty-eight hours, the plan would have been released, Russia might have followed a path to constitutional monarchy instead of the long road of oppression that defined his successor’s reign. The first action Alexander III (1845-94) took after his coronation was to tear up those plans. A number of Russian artists created paintings in response to the assassination of Alexander II using a primarily red analogous palette. So much so that 1881 is referred to the year of red. This painting was so important to Pavel Tretyakov, that he acquired it without even seeing it, while it was still in Repin’s studio. Here we have another red analogous palette. Filipp Malyavin (1869-1940) painted Whirlwind right after Bloody Sunday, which on October 17, 1905 peaceful demonstrators, many of which were women and children, were killed near the Imperial Academy. Many artists witnessed these killings from their studio windows at the Imperial Academy. We can read into this painting an unleashing of both spiritual revival and destructive forces. In this beautiful painting Filipp Malyavin melds Russian Impressionism with abstraction. Drawing on his own personal history he creates " heroines of old-Russian legends." The clothing of these peasant women become streams of warm and cool color that dance around the canvas. The influence of the artist Anders Zorn (1860-1920) is seen in Malyavin's bold brushwork. We can also see influences of sound painting that Russian artist Wassily Kandinsky (1866-1944) was also experimenting with during this time period. Malyavin uses this technique to create dynamic sweeping movements that produce rhythm. Filipp Malyavin was born into a very poor peasant family in 1869. He studied under Ilya Repin at the Imperial Academy in St. Petersburg starting in 1892. As an artist he was strongly influenced by the French Impressionists and the Scandinavian artist Anders Zorn. Malyavin preferred to work on large canvases where he could get very expressive. He became famous for his brightly-colored paintings of peasants, which kept with his humble upbringing. The most well-known peasant painting isWhirlwind. It secured him a position as a professor at the Imperial Academy. In 1922, while traveling to Berlin and Paris to attend his solo exhibitions, he decided to emigrate. Throughout the 1930s he painted several portraits of Swedish royalty. In 1940, he was arrested by the Gestapo in Brussels and was accused of espionage. He was released a few months later and, at the age of seventy-one, he was forced to return to Nice on foot. 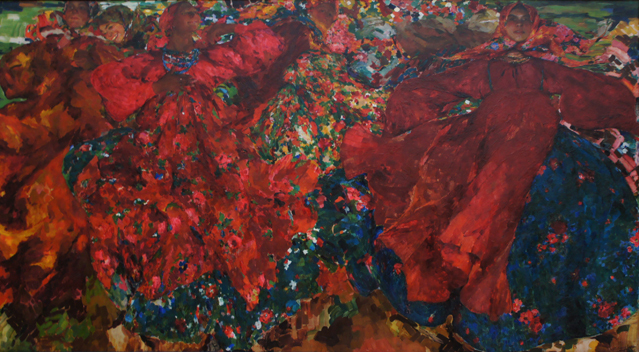 Malyavin died in Nice later that year. Vrubel places his demon in a horizontal composition which makes the figure feels cramped but increases our impression of his size. This Demon's sadness is not sterile; he is in a world where flowers are transformed into crystals. 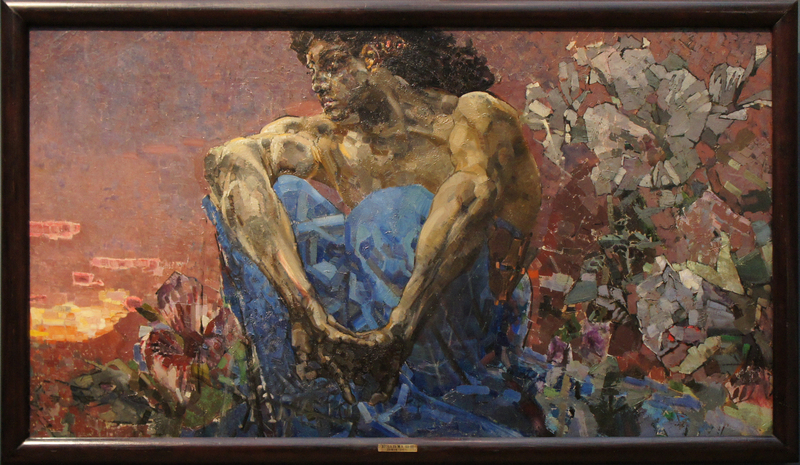 Working with a palette knife, Vrubel seems to combine the techniques of a painter and a sculptor, which gives rise to a technique that imitates mosaics. With this painting we see the first significant work of the Russian Symbolist movement. His Demon is full of contradictions: a spiritual face and mighty body. At this point his technique and style are fully evolved. It is characterized by “volume cut into a multitude of interrelated, intersecting facets and planes; broad mosaic brush strokes to model form; fiery and emotional color combinations reminiscent of stained glass. These characteristics appealed not only to the Symbolists but also to future Cubists to come. The theme of Demon, is the epitome of the eternal struggle of an anguished spirit, and became central to the artist's work for the rest of his career. Mikhail Vrubel was a painter, sculptor, theater designer, draftsman, and illustrator. His work stands out because of its originality. He pointed the way and made possible the experiments of the succeeding decades. He influenced not only Russian Symbolists, but the Cubist and abstract movements. 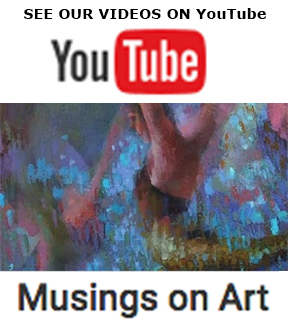 ​Cathy Locke is an award-winning fine art painter, professor, and published writer, specializing in Russian art of the 19th and 20th centuries. 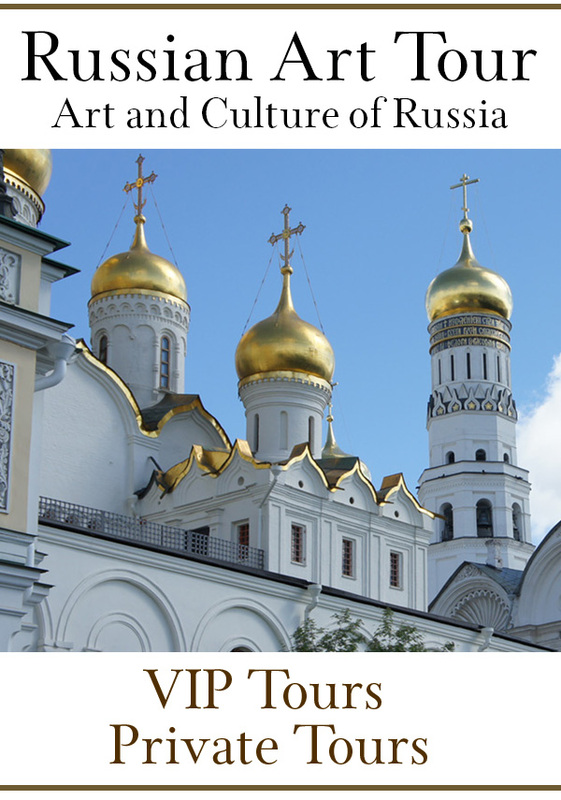 She organizes art excursions to Russia via Russian Art Tour and is the editor of Musings-on-art.org.